Nandamuri Balakrishna, who is currently busy shooting for his prestigious NBK101th film under dashing director Puri Jagan’s direction, got his international driving licence. 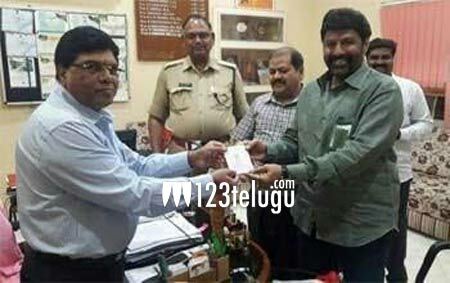 Balayya collected his licence from Khairatabad RTA officials today. Meanwhile, NBK will be leaving for Portugal for a 40- day schedule, where some key scenes and three songs will be picturised on the lead pair. Shriya Saran and Muskhan will be seen as the leading ladies in the film. Produced by Anand Prasad under his Bhavya Creations banner, this yet-to-be-titled flick has music by Anup Rubens.